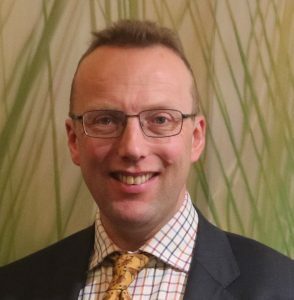 Dr Ian Archer joined IBioIC as Technical Director in August 2015. Ian is tasked with shaping the IBioIC’s strategy and implanting the business plan for the centre. Specifically, he identifies mechanisms, resources, and techniques for solving industry problems through biotechnology. 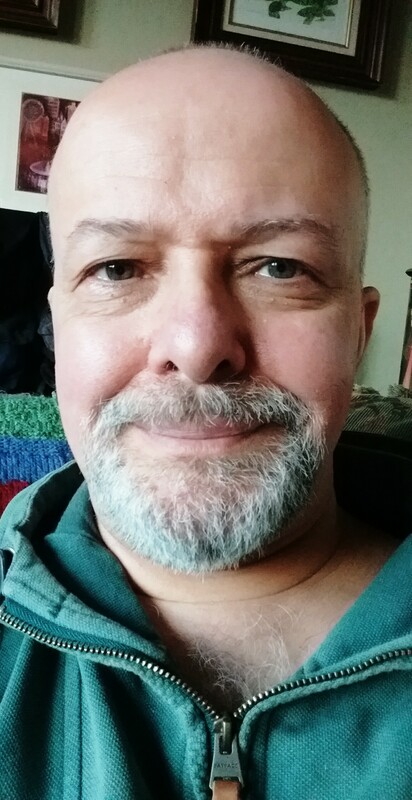 Having received his degree and PhD in Chemistry from Imperial College, London, Ian spent six years working as a Work Group Leader in Process Technology with Zeneca (latterly Avecia) in Grangemouth, Scotland. 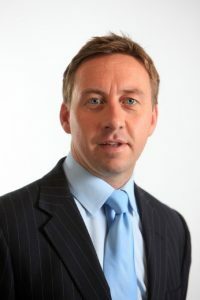 With a firm background in synthetic organic chemistry and chemical process development, in 2004, Ian joined Ingenza Ltd. as Head of Process Development where he was responsible for all aspects of bioprocess development and developed his expertise at the interface of molecular biology, microbiology and bioprocess development. He is an Honorary Lecturer in the School of Chemistry at the University of Edinburgh. 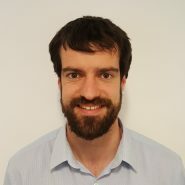 Luke is a senior policy manager involved in the administration of the Renewable Heat Incentive (RHI) schemes at Ofgem. With his team he is responsible for ensuring that all regulatory changes are effectively introduced into the day to day running of the scheme. 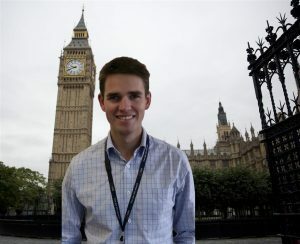 Luke joined Ofgem in 2014 first working on the Renewables Obligation scheme before moving to the RHI. Starting as a Compliance Manager he moved to his current policy role in 2016. Julian Bell is a Senior Consultant within SRUC (Scotland’s Rural College) consulting division. Julian is driven by a desire to improve the markets and economic viability of arable crops with a focus on grains, the whisky sector and bio-energy. Recent projects include research into the success of the craft alcohol sector in Scotland, identifying opportunities from Brexit for Scottish cereal farmers and the potential to source crops for biogas plants across Scotland. He also helps farmers and processors in the potato, vegetable, poultry and pig supply chains reduce their carbon and resource use impacts. Julian was previously Senior Economist, Crop Marketing, AHDB in London where he oversaw analysis and development of UK and global export markets for cereals. Julian is an agriculture graduate from Edinburgh University and SAC Aberdeen. Mike Berry is a Senior Policy Advisor on waste management, within the Scottish Government’s Zero Waste team. 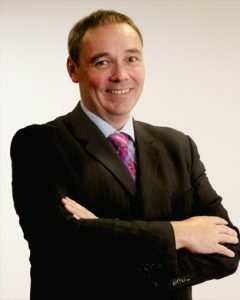 He is an experienced civil servant who has worked across several Scottish Government departments over the past 20 years. This includes 6 years at Transport Scotland, as well as stints in cultural policy, health and education. Prior to entering the civil service, Mike had a varied career, working in local government, the licenced trade, as a chef, and as a musician. He is married, to Katrina, and has 2 adult children: Naomi and Otis. His interests include music, art, movies, football (he is a supporter of Hibernian Football Club), walking, and travel. 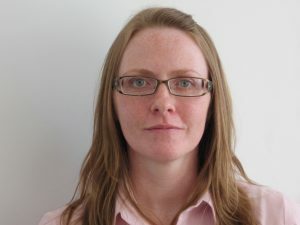 Fiona has been involved with biowaste since 2006 and now leads on this topic for the National Waste Unit in the Scottish Environment Agency, which develops policy and guidance on biowaste management, ensuring this is considered during the development of SEPA’s sector plans. Fiona will be leading on materials to land as part of SEPA’s “One Planet Prosperity” regulatory strategy and our “Waste to Resources” framework. 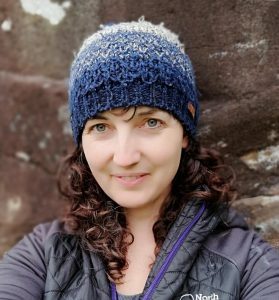 Rachel has been working at Scottish Water for 5 years and currently leads a team in the wastewater service strategy department with a focus on resilience and regional strategy. She is passionate about resource recovery and transforming the wastewater process. 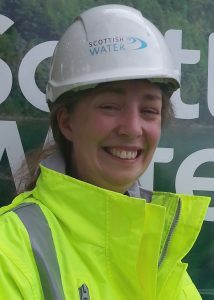 Prior to joining Scottish Water, she studied chemical engineering and completed a PhD in anaerobic wastewater treatment technology. 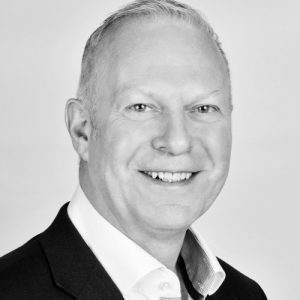 Uisdean is Managing Director at Synergie Environ with 20 years’ experience in engineering, waste and construction operations and management on both client and contractor side and almost 15 years in consultancy, project development and execution. Since he established Synergie Environ in 2009, the company has gained an excellent reputation for high quality specialist advice to clients, underpinned by the development of low carbon engineering solutions to clients’ issues, primarily working in AD, large scale district heating, and industrial energy efficiency across many sectors. He lists his main claim to fame as being responsible for leading the development of the first AD plant in the UK to operate on source-segregated bio-waste which was commissioned in 2005. Craig has been working in the energy sector for the past six years and currently lead’s the Scottish Government Emerging Technologies Team. Craig leads on policy in relation to wave and tidal technologies, the development of a Bioenergy Action Plan and energy storage technologies that will support local system design. The team has responsibility for delivering significant actions within the current Energy Strategy and leading engagement across a large range of active stakeholders. James Higgins is Policy Manager at SGN, who manage the gas network across Scotland and the south of England. James joined SGN in 2012 and moved into his current position in 2014. He works across a range of areas with a focus on future of heat policy. James represents SGN on the collaborative ENA Gas Futures Group and also holds a Masters degree in energy policy. 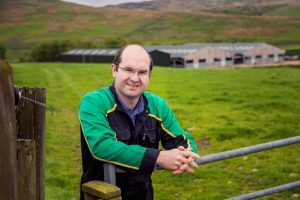 Vincent Igoe has been working in the organics recycling business in Scotland for over twenty years, mostly in cooking oils and food waste collections for conversion to renewable energy. His expertise lies in the supply chain collecting organics and feedstock for Biodiesel and AD plants. For the past ten years Vincent has been heading up Olleco in Scotland and more recently looking after Olleco operations in Northern England. Olleco has a vision to create a virtuous cycle for customers through the model of Supply, Collect and Convert. Everything Olleco does supports resource recovery. 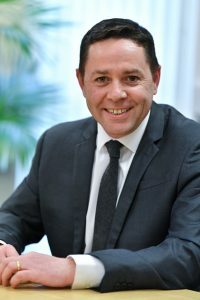 Roger was appointed CEO of IBioIC in January 2014. Roger, a chemical engineer by profession, is an experienced international business leader with a proven track record in business turnaround, growth and leadership. He has worked 26 years in the Chemical and Fine Chemicals Sectors (ICI, Johnson Matthey) located in the UK, Australia, Germany and USA. He then moved on to focus on using his experience to support SMEs with strategy, business development and management, before taking up his current role. In addition, Roger is Chair for the Scottish IB Development Group, sits on the Leadership Team of Chemical Sciences Scotland, the Scottish Cabinet Minister’s Expert Panel for “Environmental Charging and other measures”, the IB advisory group to the World Economic Forum, the Bio-futures Steering Team of the Institute of Chemical Engineers and the Scientific Advisory Board for Biochar for Carbon Capture, he is also an Honorary Associate Professor at Heriot Watt University. 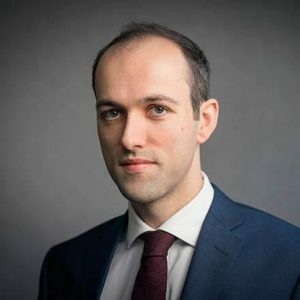 Fabrice is the Senior Policy Manager at Scottish Renewables, helping the industry to understand and influence the key policies affecting the renewable heat and electricity industries. Fabrice previously worked for environmental NGO WWF where he campaigned for better climate and energy policy. Prior to this he worked for a Westminster think-tank and in the solar energy industry where he designed and sold PV and thermal systems across the South of England. 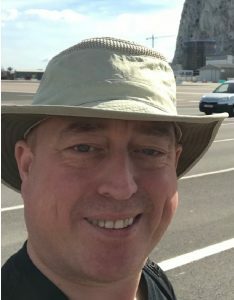 Phil Lynch has 30 years’ experience in the European environmental service industry, predominately focussing on new business development in both the Waste Management and Water Stewardship sectors. David has been working on biowaste collection and treatment and the use of biomaterials in improving the waste stream since the late 1990s. He was part of the team that changed the laws in Italy where he worked, introducing biowaste collections with biobags and banning plastic shopping bags – promoting the use of re-usable and compostable bags instead. He was part of the team that successfully got through the EU Directive reducing plastic bag consumption. He was President of ISWA from 2012 to 2016 from Vienna and after that period appointed President of the newly founded World Biogas Association from London, where he lives. He also manages his own private advisory business helping companies find new partnerships and markets in the environmental sector. He has led BBIA since founding it in June 2015. 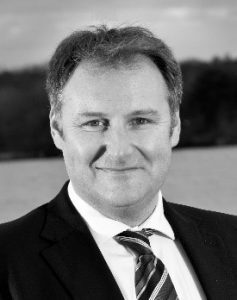 Jamie is Ricardo Energy & Environment’s Scottish Director and has over 20 years’ commercial experience of managing and directing technical policy-related research assignments. 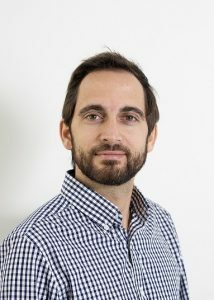 Jamie has been heavily involved in the development of Scotland’s circular economy policy especially those policies relating to biological resources. Jamie led the study investigating the circular opportunities across the food and drink sectors in Scotland which highlighted the potential £800m ‘economic prize’ from bioresource sharing and novel technological applications. 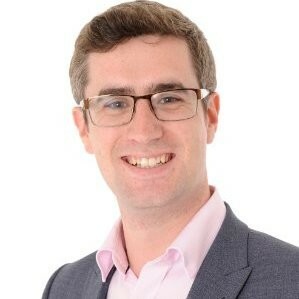 Jamie is a chartered member of the CIWM and chairs Institute’s strategy group on business waste and resources in Scotland and is also a member of the Scottish Waste Data Strategy Board. Roz joined Buccleuch seven months ago after 20 years of studying and working in the health sector. Having grown up on a dairy farm, this move has proved a great opportunity to apply this knowledge alongside public health skills to the Agriculture and Energy projects she now supports. Data analysis is a key aspect of the support offered. Mainly supporting new projects, the challenge is to identify the best possible way to take viable projects forward. In 2016 the Bowhill AD Plant was one of the original projects supported by the then newly formed Project Management Office. Chas joined the Glenmorangie Company in 2001. Responsible for planning and implementation of CAPEX Projects to meet short and mid-term growth forecast. He is the Project Manager for the installation of an AD Plant at Glenmorangie Distillery. Currently expanding 2 distilleries, Glenmorangie & Ardbeg. Chas started his career in 1992 at Peugeot, Coventry, car manufacturing site as a paint shop Production Supervisor before moving to Motorola Mobile Devices, Easter Inch in 1995 as Production Team Leader initially and progressing to Shift Manager. particularly the end use markets for compost digestate and biogas. Initially Alison worked with compost but over the last few years with AD as this has become increasingly prevalent. As well as driving material to AD and composting, the focus is on the quality of both input and output material. 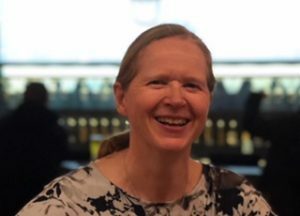 Increasing interest in the value of food waste and digestate in Scotland through higher value products is rising and Alison is supporting Zero Waste Scotland’s Circular Economy programme in this work. Sandra Sassow co-founded SEaB Power Ltd, with the purpose of working towards a future in which both cities and remote communities can capitalise on their waste to create renewable sources of energy, water and fertiliser, and lessen the negative impacts of waste collection practices. Her entrepreneurial background has led her to become a key figure in the green tech sector and a role model for women in STEM. 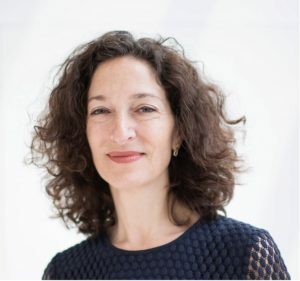 Sandra is a member of World Alliance of Efficient Solutions, UNGA UN Solutions, and the Chartered Institute of Waste Managers as well as a Fellow of the Unreasonable group. 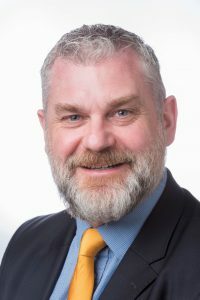 Bobby Stearman is the Managing Director of Mercorr Limited, an innovation waste management and feedstock procurement company based in Cambridge. Bobby started his career as a waste professional in 2001 working with a national food manufacturer to implement source segregation initiatives. Bobby has since become a specialist in food waste recycling, anaerobic digestion and data analytics. including energy, zero waste/circular economy and active travel. Ewan is passionate about sustainable transport and energy issues. 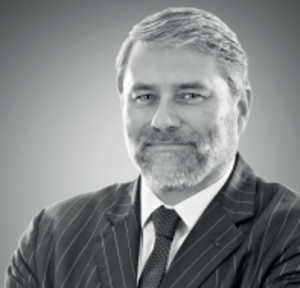 Martin is a Partner at Anderson Strathern, one of Scotland’s leading independent commercial law firms. His primary focus is renewable energy and he has been instructed on a number of the initial AD gas-to-grid projects developed in Scotland. He also has a Masters degree in Environmental Law from Nottingham University. Sion has been working on Buccleuch’s Borders Estate in the Scottish Borders since 2004. Sion is responsible for 13,500 acres of land, 500 suckler cows, both pedigree and commercial, a flock of 6,800 ewes, 116 hinds for venison, a 32,000 hen poultry unit and a 200kW Anaerobic Digestion Plant. Efficiency improvements, and market-focused changes to sheep, cattle and arable enterprises have been central to his policies. He is currently a LEAF (Linking Environment and Farming) Demonstration Farm and one of 32 Agri-Epicentre Satellite farms embracing technologies such as satellite imagery looking as pasture levels and cattle boluses looking at cow temperatures and agility.